Mister Essential Oil is a remarkable blend of oils that was designed specifically to balancing male energy and supporting men's overall emotional and mental wellbeing. Mister complements Young Living's Prostate Health Supplement. This herbal complex includes all the essential oils in Mister, plus saw palmetto, pygeum africanum, wild yam, blessed thistle, zinc and more. Saw Palmetto, and pygeum africanum have shown to be highly effective natural remedies support male glandular system and maintaining healthy, normal prostate function*. Mister is recommended for men age thirty and over. This is a fun and easy reference guide for Mister Essential Oil Blend. It will tell you how to use our oil blend and what to use it for. 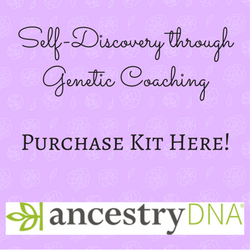 It will also provide you with some fun tips and testimonials! Want to Purchase Therapeutic Mister Essential Oil? Go to the Oil Shop! Buy Mister Oil Here! What is in Mister Essential Oil Blend? 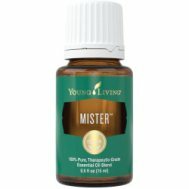 There are six different therapeutic grade essential oils in Mister. They are listed below along with a brief description of each oil. Sage Essential Oil (Salvia officinalis) This essential oil may help to uplift and aid with mental fatigue. It has been recognized for its ability to strengthen the senses and vital centers of the body and to support metabolism. It is helpful for supporting the respiratory, reproductive, nervous, and other body systems*. Lavender Essential Oil (Lavandula angustifolia) can help you relax, wind down before bed and even ease stress. Its balancing properties create a wonderful relaxing atmosphere when diffused. Blue Yarrow Essential Oil (Achillea millefolium) may support healthy glandular function. What are the Documented Uses for Mister Essential Oil? Balance, denial, deodorant, supports male sexual energy and performance. What is the Aromatic Affect on the Mind? Emotionally relaxing and balancing. What is the Spiritual Influence? Mister promotes the emotions of forgiveness, peace and self worth. It helps us release emotions of anger and self-esteem issues possibly resulting from negative childhood experiences. This oil will help you let go and forgive your past and embrace what happens in life as a learning experience. What Chakra is Affected? Opens the root and sacral chakra. Note about Animals: Certain oils can be very toxic to cats. Citrus products and oils in particular that are not of therapeutic grade. Please consult your vet if you are not sure about applying any essential oil to your pet. What are the Safety Precautions? Mister essential oil should not be used on children less than 18 months of age. Additionally, it should be used with caution by those who are susceptible to epilepsy. This oil should be avoided during pregnancy. Dilute 1:15 for full body massage! Place around the inside of the ankle on the vita flex points.